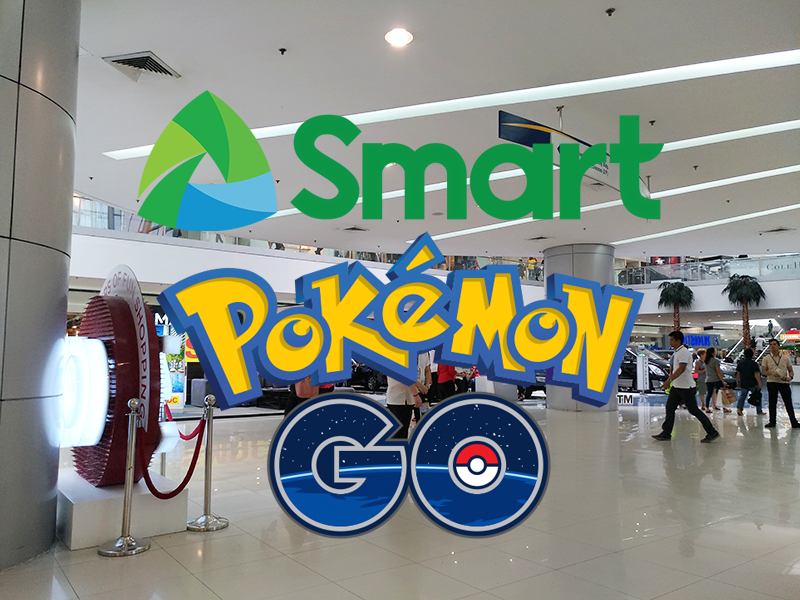 Smart Holds Pokemon GO Lure Party At SM Malls, Get A Chance To Win FREE Load Or Gadgets Too! Home / games / news / pokemon / Smart Holds Pokemon GO Lure Party At SM Malls, Get A Chance To Win FREE Load Or Gadgets Too! The Pokemon GO craze is on fire! In relation to that, Smart Communications Inc. has announced the Pokemon GO Lure party at SM Supermalls! Smart's Pokemon GO Lure party! Smart will host the lure party where it'll attract a lot of Pokemons to go within the assigned area. As a result, the place will be a catching place for the aspiring trainers who's within the vicinity. Apart from that, Smart will give several freebies to players in the area. Check out the mechanics below. Pokemon GO Lure Party Game Mechanics! 1. Smart subs should register at the Smart booth (located at SM MOA Atrium, SM MOA Cyberzone, SM Megamall). Each day, the first 100 Smart Prepaid, Smart Postpaid, Smart Bro subs can claim Free 50 load at the Smart booth to be used for Giga Surf 50. 2. Pokemon Go Trainers with any Pokemon of 1000 CP can claim a free shirt from the Smart booth. 3. Pokemon Go Trainers with 100 Pokemon collected can claim a free shirt from the Smart booth. 4. Top 6 Smart subs with the most number of Pokemon collected by the end of the weekend may win gadgets. The Lure Party will last until Sunday August 14, 2016 every 5 to 9 pm. Happy hunting and enjoy playing everyone! Catch them all!